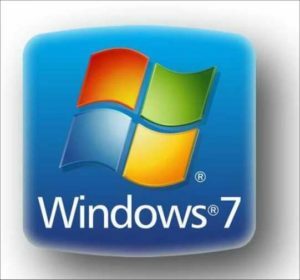 I experienced a big crash of my computer under Windows 7 – 64 bits. Last Thursday he was doing well. 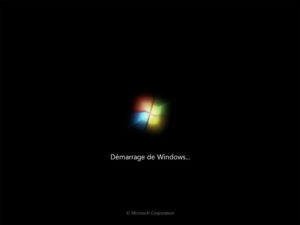 I turned it off Thursday night to go to bed, and Friday morning could not start Windows. When I turned it on, the startup screen was displayed for a while, then the whole screen went out. The computer continued to spin, the fan making more and more noise. I left it a good time, over an hour without any noticeable evolution. I finally turned it off by pressing and holding the OFF button. I tried restarting in safe mode, but there, after encouragingly started, it stopped completely processing, after loading the driver aswbidsha.sys. Many websites report blocking of safe mode after loading this driver, and often incriminate Avast anti-virus. In fact, at least for me, Avast seems totally out of the question. 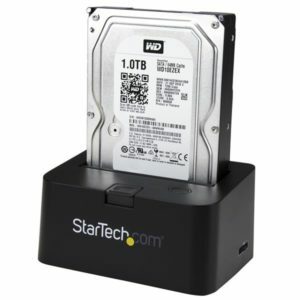 I then unmounted the hard drive containing my system and connected it via a dock and a USB cable as an external hard drive on another computer, under Windows 10, to analyze it. There a message told me that the drive has problems and needs to be checked. Actually, the drive must be checked by the chkdsk program. It’s a moment of panic for me, especially when surfing on the web shows that in many forums disk problems of this kind are reported, concluding in most cases that we must discard the hard drive in the garbage ! (I do not know if stores are taking it back for recycling). 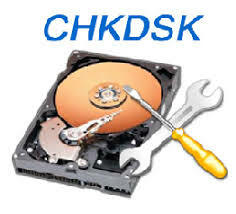 Not knowing if it is possible to scan a Windows 7 system disk with the chkdsk of Windows 10, I repositioned the problematic hard disk on my initial computer, and after booting from a Windows 7 installation CD-ROM, I managed to run chkdsk. To my great annoyance, the scan by chkdsk produced the same behavior as the Windows 7 boot: the screen went out and the fan started running noisily. As the small light indicating an activity of the disc continued to flash, I decided to give him a chance and let him turn a part of the night and the day. After 14 hours of noisy immobility with just small flashes of light, I lost patience and stopped it. 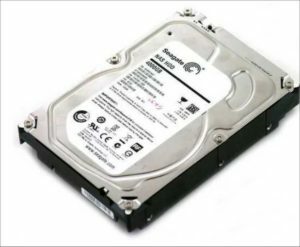 It seemed that we could not get anything out of my hard drive, and I started to make an inventory of what I would have to find to redo a new installation of Windows 7 and all my software on a new hard drive. The scan occurred, and unlike my original computer, the screen did not go off. I was able to follow the progress of chkdsk, which has gone through the 5 stages of its process in 7 hours. And then, to my great surprise told me he had found no fault. With this reassuring diagnosis, I put the hard drive so checked in my first computer, and there Windows 7 launched without problem, as it always did, maybe even a little faster than usual, and my system was totally repaired. I’m not entirely sure what happened, but since I do not believe in witchcraft, even in computer science, I make the following hypothesis to find a rational explanation for all this. What happened in the night from Thursday to Friday so that my computer did not start anymore? 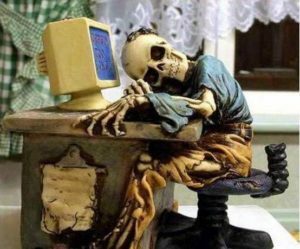 I discovered that an update of Windows Update was downloaded last Thursday. Probably at the start of Friday morning, this update was installed and ordered a scan by chkdsk from my hard drive. In my system, a chkdsk recovery scan of my Seagate hard drive that is 1.34 TB including 814 GB of free space seems extremely slow. I know after this episode that it lasts at least 14 hours, and I may have been wrong to get impatient: if I had let it continue it would eventually succeed, but maybe only after several days? In Windows 10, and connected as a secondary hard drive that does not carry the system, the scan was faster, but in 7 hours anyway. In total, the scan showed that there was no problem on the hard drive, but as the first few times it could not go all the way, the mark put by Windows Update requesting a scan at startup has been present until Windows 10 goes to the end, thus preventing normal startup. Moral: do not listen too quickly the irresponsible advice found on many forums: if I had listened to them, I would have uninstalled Avast, reinstalled completely Windows or even thrown my hard disk albeit everything was fine. I still have a little mystery: why on my computer with Windows 7, does the screen turn off during the scan, while it does not on the computer with Windows 10? If it had not done so, I would have noticed the progress of the process, even very slow, of chkdsk, and I would not have feared the total breakdown.